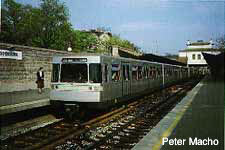 (converted old metro line WD, 16.5 km). 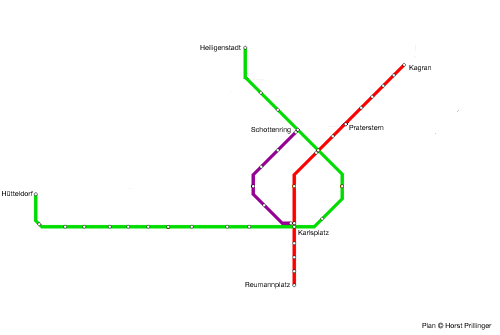 Construction work started in 1969 at Karlsplatz, where all three lines meet in the system's largest interchange station. However, the first line to be actually opened was the former test track (built in 1972) between Heiligenstadt and Friedensbrücke on line U4; this was opened on 8 May 1976. 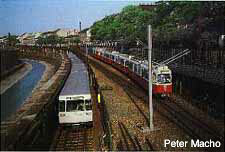 The first newly built section was opened on 25 February 1978 between Karlsplatz and Reumannplatz on line U1. All sections of the basic network were in operation by December 1981. The extension of line U1 to Kagran (3.9 km), which was not part of the original plans and was added later when the Reichsbrücke over the Danube collapsed in 1976, was completed in September 1982. With this extension completed, the network reached a total length of 30 km (18.8 miles).